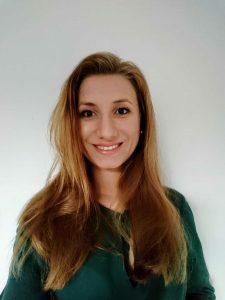 This week we meet Markéta Urbanová, alumna from the master’s programme in Business Administration with a specialisation in Globalisation, Brands and Consumption (class of 2016), and from the master’s degree programme in Asian studies, with a specialisation in Japan (class of 2018). Q: Why did you decide to study at Lund University? After high school in the Czech Republic, I moved to Copenhagen to study my Bachelor’s degree in Marketing Management at Copenhagen Business Academy. When finishing my Bachelor’s degree, I began researching different universities in Europe to find the right Master’s programme for me, which I could not find in Denmark. My classmates told me about Lund University, and when I started researching more, I learned that it was the right match for me. It met all my requirements, including an interesting programme – ‘Globalisation, Brands and Consumption’, being a highly ranked university, and located in Scandinavia with a close proximity to Copenhagen. Q: You used to work within consumer marketing, and now you are working towards business marketing. What made you decide to change focus? There was no specific reason why I changed my area, rather it was more about finding a company whose values were in line with my own. I believe that the people you work with have a great influence on whether you enjoy your job or not, as well as the location of the company. I did not want to stay in Lund anymore, which is one of the reasons why I decided to move back to Copenhagen, where I want to settle for the near future. Not only is location important, but also working within a rewarding industry. I want to work at a company that provides goods or services that I believe in and that are exciting. All in all, the values of the company, the people of the company, and the location of the company are essential for me; not whether the job is within BtC or BtB. I think it is a good challenge to change areas and industries now and then since I believe that it can spark my creativity and foster my development within my field, i.e. digital marketing. Q: During your studies, you both studied and worked, how did you plan your day as a full-time student with work on the side? I must say, it was not always easy balancing full-time studies and work on the side. I believe it is all about motivation and structure, as well as your priorities. I tend to be quite strict with myself and I am very goal-oriented. I was never much for nations or partying, but more for achieving my academic and career goals. The way for me to achieve my goals was through working and getting more experience from different companies, as well as studying. During the summers, for instance, I was not the type of person to take a two-month long vacation with my family. Instead, I saw the time as an opportunity to learn more by being an intern in different organisations within diplomacy. By having various jobs and internships, I hope I can differentiate myself from others and add value to my skill set, which I think is important, especially when people with similar academic backgrounds compete for the same jobs. But all of that would not be possible without the immense support from my family, friends and colleagues at Sony. Also, running helped a lot to keep me sane. Q: You have two Master’s degrees from Lund University, one in Business Administration with a specialisation in Globalisation, Brands and Consumption, and one in Asian Studies. Did you know what you wanted to work with when you started studying at Lund University? When I started my studies at Lund University, I knew what I wanted to work with. This is because of the different internships I had had where I realised that I wanted to work within an international company in the private sector, rather than in a start-up company. 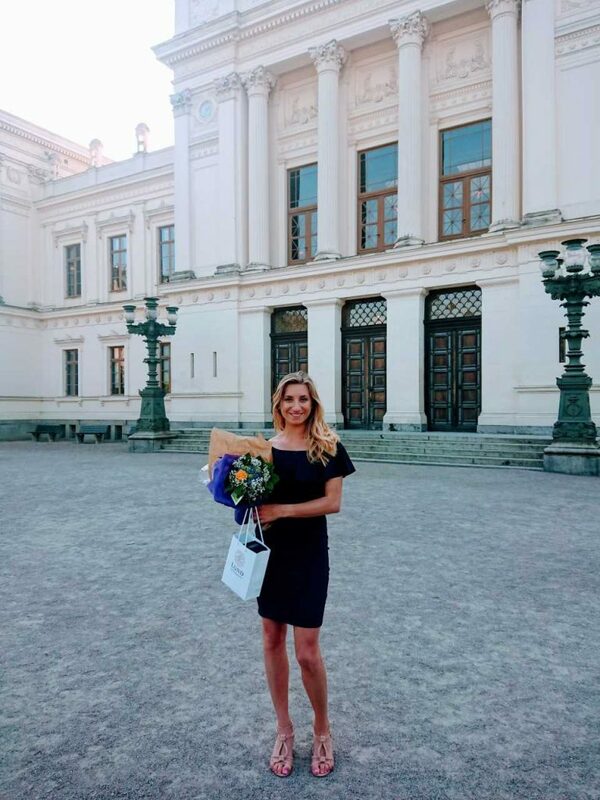 My education from Lund University focused on analysis, structure and critical thinking, which are important no matter the field in which you work. In terms of the programmes themselves, there are not many links to Asia at DFDS, however, international trade plays a big role within such a business. On the other hand, an online marketing course from my Business degree has proved very helpful. We learned about SEO, content marketing and analytics tools, which I now use on a daily basis. Q: What do you think you will be doing in 10 years’ time? That is a difficult question, which I do not like to answer. Even though I am an organised planner, I have realised throughout the years that you cannot plan everything. Life takes you down paths that you did not even think of before. And that can only happen when you explore and do not stand still. So 10 years is quite far into the future if you think of all that you can experience during that time. Personally, I hope to have a family by then. Professionally, I see myself as an experienced professional surrounded by a team of positive and inspiring people. Hopefully I help them in their own development that would, in turn, contribute to the company (maybe my own company, who knows). I also hope to grow into a person who can inspire others. That is probably my life vision. Finally, I will strive for a good work-life balance. Q: What are your top three tips for current students at Lund University? Be focused. Even if you are unsure of some things or you do not know if what you are doing is the right thing; focus can lead you there. This is the case no matter which discipline you study. Be disciplined. Self-discipline is very challenging but so important. At least trying to be disciplined is something one should strive for. Be reflective. Be critical and reflect on everything you do. Learn from your mistakes. This entry was posted in Inspiring alumni, LU Alumni around the World, Updates. Bookmark the permalink.